GWEC forecasts over 300 GW of wind capacity to be added in the next 5 years, with growth to come from emerging markets and offshore wind. According to a new report, 2018 was a positive year for the wind industry, with 51.3 GW of new installations. With market-based mechanisms, such as auctions, tenders and Green Certificates considered the key drivers behind the new installations. 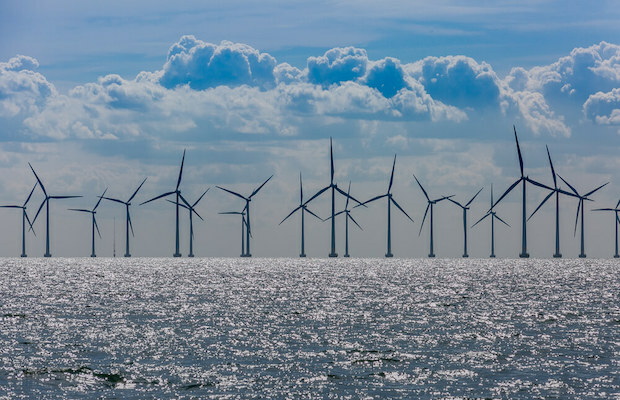 The Global Wind Energy Council’s (GWEC) latest ‘Global Wind Report’, expects strong growth in the coming period, with around 300 GW of new capacity to be added in the next five years, as the wind industry continues to prove its cost-competitiveness in relation to incumbent fossil fuel generation and nuclear around the world. “Changing business models of industry stakeholders are driving growth by intensifying competition. Increasing digitalisation opportunities are bringing in new players with new competencies and solutions, whilst a number of traditional players are revising their models to make investments outside of their core business,” the report added. Meanwhile, steady growth in corporate sourcing as large companies choose wind as their main preference for power procurement is driving strong growth in mature wind markets. Taking corporate procurement outside of mature markets can unlock even further volume for wind. 1. China accounted for the highest proportion of new installations in 2018, both offshore (40%) and onshore (45%). 2. Governments of Southeast Asian markets like Vietnam and the Philippines have set targets for wind energy deployment to increase installations. 3. Indonesia and Thailand have plans in place to decrease reliance on nuclear energy and fossil fuels. 1. The Latin American wind market has grown over the past ten years, accumulating total installations of 25 GW. 2. Auction and tenders will drive the majority of installations in the Latin American markets. Brazil and Argentina, for example, continue to conduct joint capacity auctions for onshore wind and solar. 3. Colombia is an emerging wind market, with the government setting the ambition for 1.5 GW of renewable capacity by 2022. 1. The majority of onshore installations are expected to come from Egypt, Kenya, Morocco, and South Africa, adding over 6 GW new capacity by 2023. 2. The highest capacity additions in 2018 came from Egypt with 380 MW, proving the progress of this market. The rising focus on the value an energy source provides to a system and a market, including the produced energy output, is easing integration and helping to match supply and demand. Therefore, in order to develop new solutions for technology, project design, and financial structuring, regulatory adjustments are required to account for the added value of energy sources such as wind.